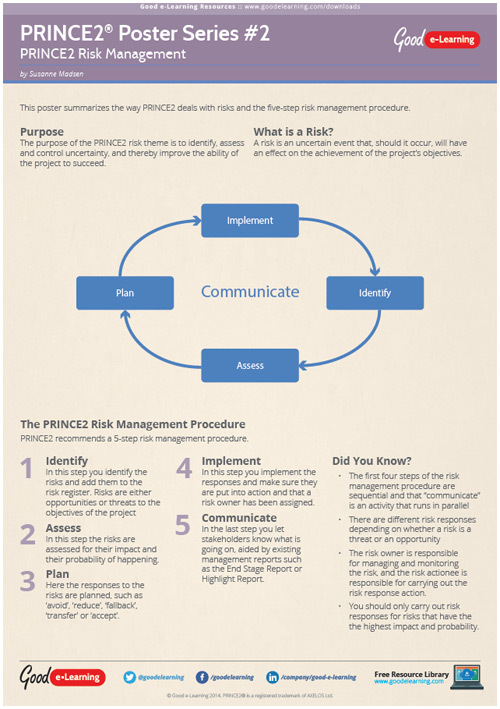 This poster summarizes the way PRINCE2 deals with risk and the five-step risk management procedure. Already familiar with the risk management procedure? We'll also address some points you may not already be aware of.